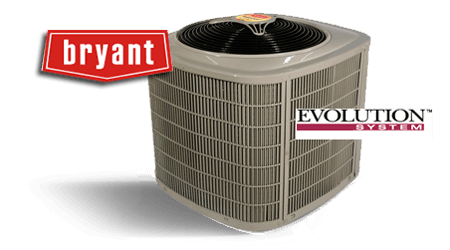 Bryant’s Evolution series heat pump is the most energy efficient Bryant heat pump on the market. It utilizes multistage variable speed operation in an effort to increase efficiency, reduce draftiness, minimize equipment and air movement noise, reduce temperature imbalances throughout the home, reduce temperature swings between heating and cooling cycles, improve indoor air quality, and increase system longevity. Full system diagnostics are also built into the unit in case of a problem. If you want the best, this is your model.